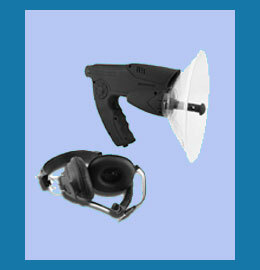 Eavesdropping equipment is sometimes employed during specific types of private investigation assignments. Eavesdropping is a slang term for listening in on a private conversation, either directly or through electronic surveillance techniques. Of all investigative practices, eavesdropping is one of the most highly regulated by state and federal laws in most areas of the world. This report provides a detailed accounting of the types of detective gear that are useful when trying to gather audio evidence and intelligence. Bionic ears, and other long range listening devices, can provide great evidence of any audio signal, even at a great distance from the target. Digital voice recorders, which can be carried or placed virtually anywhere, can be utilized to record conversations. Phone recorders can document telephone conversations between 2 or more parties. Hidden video cameras can also come equipped with audio capabilities to record both covert video surveillance and sound. Any listening device should only be used when legally applicable. Make sure to fully understand the exact laws, both state and federal, governing eavesdropping devices, especially those which may be used to listen in on phone conversations through a land-line phone or those conversations which may occur on private property. Violating privacy laws can mean severe criminal and civil penalties. Once you understand the legalities of eavesdropping, you should purchase quality devices from a spy store or online retailer of private investigator equipment. There are many choices in equipment brands and types, with costs ranging from very low to very high. Make sure to buy the best equipment for the scope of the assignment and update your devices regularly as they become old, worn or outdated. For detailed information about using eavesdropping devices to assist you in gathering the information you require, legally and safely, contact a qualified professional investigator or retailer in audio technologies.